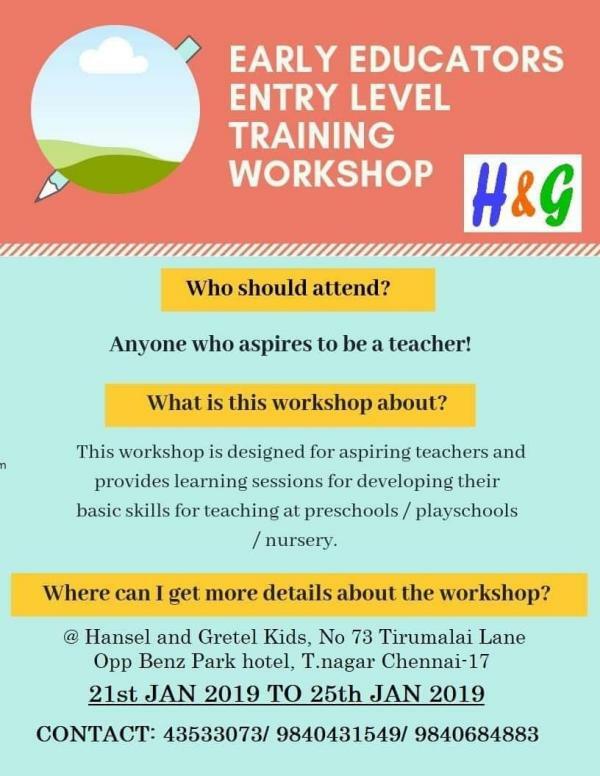 Hansel Gretel Kids is proud to announce Early Educators Teachers training program for Aspiring teachers. The program covers hands on training, observation in live class rooms and assessment.Participants will get a certificate from us. Pre registration is a must.